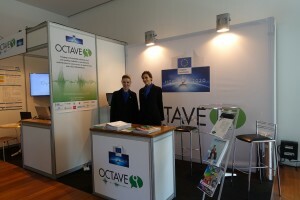 OCTAVE has organised a booth in the exhibition hall connected with the conference Odyssey 2016. 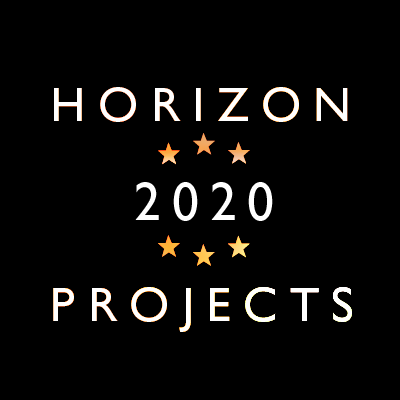 It was an opportunity for the Project to showcase its approach and its early results to a community of researchers, so as to gather genuine feedback from worldwide top experts in the field of Speaker Verification (including the President of International Speech Communication Association). 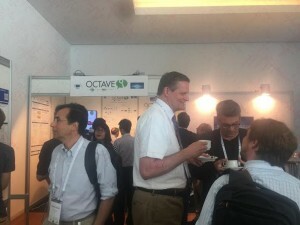 Around two hundred experts visited the booth. 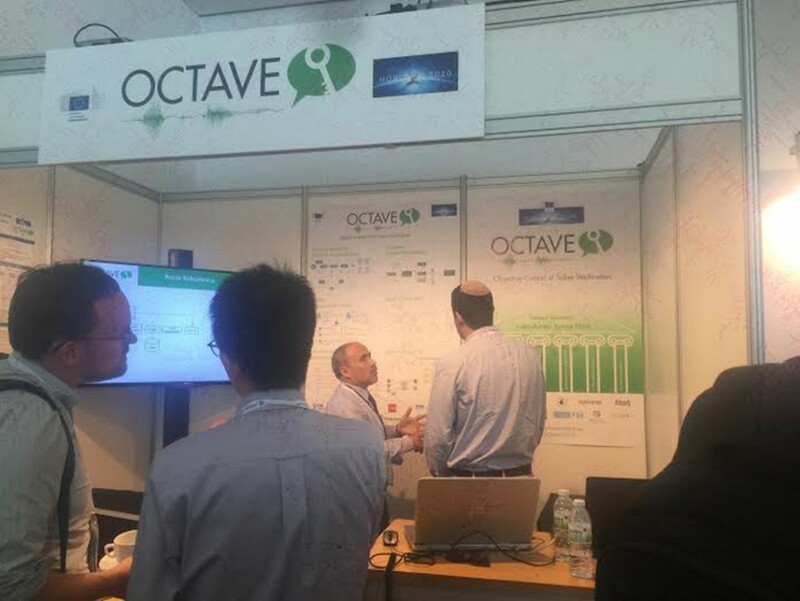 The booth was organised in two modules, one for dissemination of information and material about OCTAVE, another for showcasing the Trusted Biometric Authentication Service (TBAS) so far developed by the Project. Several participants were invited to register to the TBAS, actually installed on a cloud server run by ValidSoft on a sever farm located in the Netherlands. Thereafter, they could try to access the system to seek authentication. Users were able to register with the TBAS, and try out authorization sessions, either via a Web client or via a smartphone App, developed in Android.